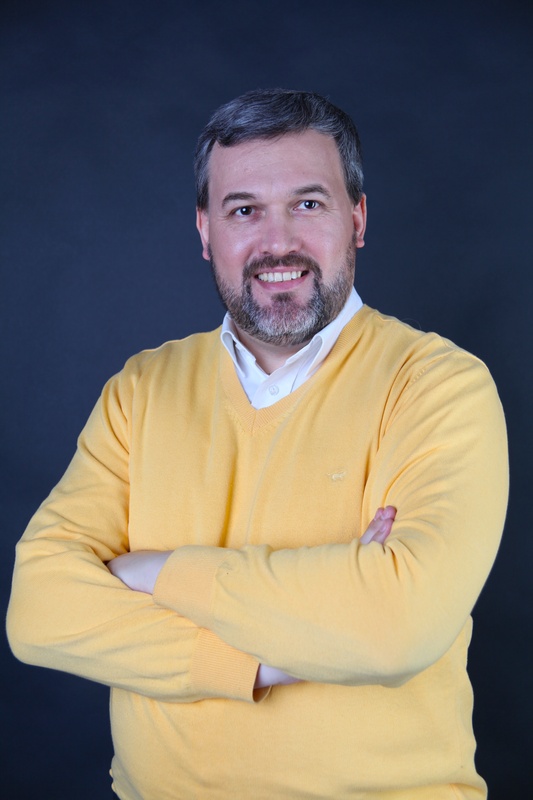 Sergei Mitrofanov has over 25 years experience of business development as a hired manager, founder and mentor. He has a portfolio of projects in Russia, Ukraine, India, Latvia, Kazakhstan, Azerbaijan, US and Georgia, covering various economic and business areas. Since becoming the head of Brandflight office in Russia and C.I.S. in 2004 Sergei participated in all branding projects with our clients there: Velle, Bystrov, GameLand, Alpina Publisher, Rostelecom, Inmarko (Unilever ice-cream), URSA Bank, MDM Bank, Urals Federal University, NORINGA, Tbilisi, Batumi, Velikiy Ustyug, Tomsk State University, Ulmart, Rospechat, ALEKMA, Pervy BIT, ASCONA (Hilding Anders CIS division), TUTU.RU, Pulsar VC and many other companies and organizations. Besides project management he acts as an expert in internal brand activation and creation of HR brand. Since February 2006 – Board Director of Medinge Group (www.medinge.org). Early in 2013 Sergey set up own the company Mitrofanov & Partners, (a member company of BRANDFLIGHT Network). Since spring 2013 – managing partner of Pulsar Venture Capial (Kazan). For the last four years he has worked a lot with start-ups and venture projects as a mentor. Participated in the development of portfolio companies including: Rosnano, RVC, Skolkovo Startup Academy, Venture Investment Fund of the Republic of Tatarstan. Developed his own “StartUp Branding: Applied Positioning for New Business” methodology to work with start-ups that helps to accurately focus the new business or technology in the market and shorten time to market for products and services. Over 15 years of practical experience in digital marketing and for the last 7 years also in social media, enables Sergei to smoothly incorporate modern communication technologies in the development process of company brands and personal brands. Sergei has two university degrees: technical (1990) and economic (1995). In 2003 obtained Executive MBA diploma in Stockholm School of Economics, and in 2004 completed Branding – Corporate Religion” Executive Education Program.